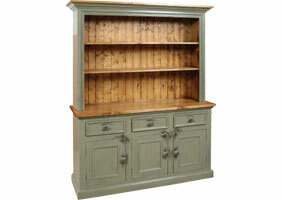 The 3 Door Open Shelf Stepback Cupboard with sideboard base and open hutch top with shelves. 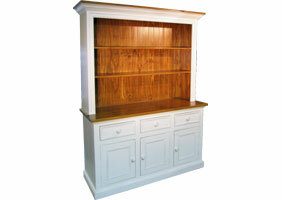 The cupboard has a sideboard base with three doors and drawers, wood knobs, and flat base molding. 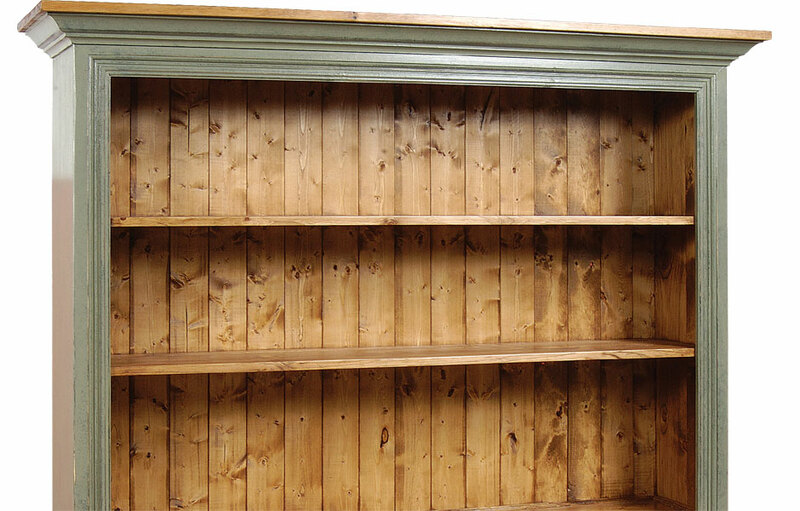 The upper hutch area has mitered face moldings with two shelves at fixed heights. A grand china cabinet provides a focal-point in a dining area, and quickly becomes the hub of the room. Display china, stack and organize bowls, plates and platters in one beautiful cabinet. The 3-Door Open Stepback Cupboard will bring rustic, French country style into a dining space. 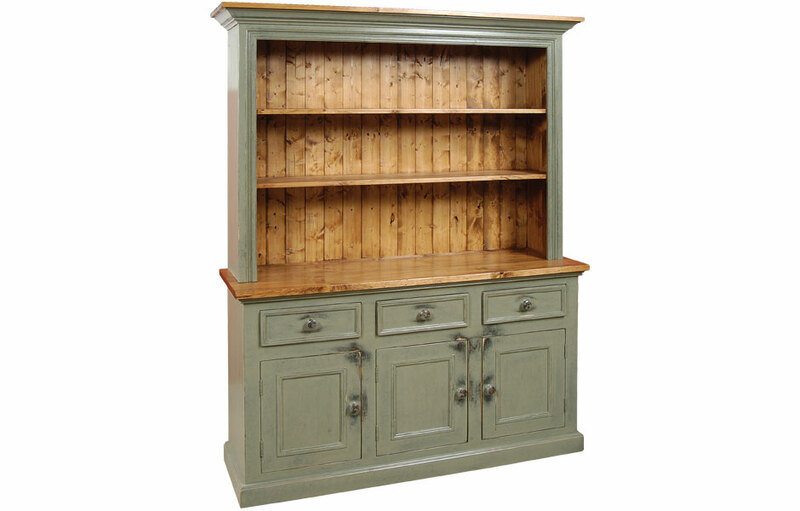 The solid wood open china hutch is built in two pieces with a buffet base and hutch top. 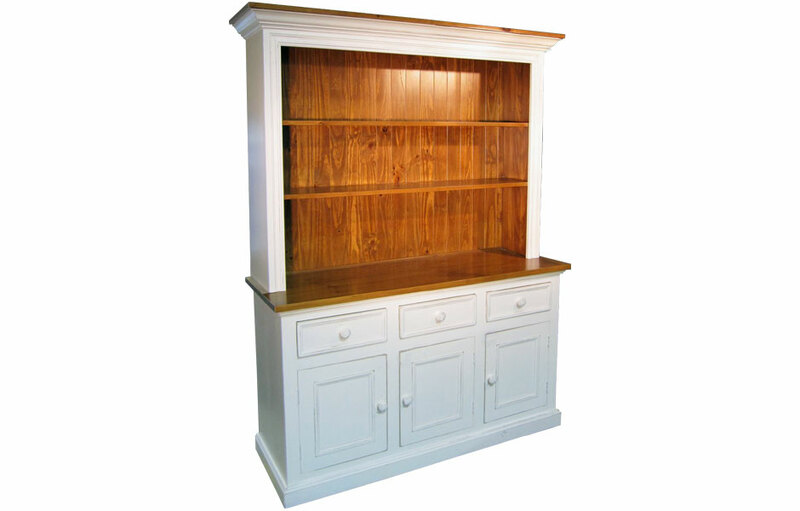 The upper hutch fits into a groove in the buffet top to join the two pieces. The upper hutch cabinet has three open shelve areas that graduate in size to hold large and standard size dishes and platters. The buffet top is water-sealed and intended for daily food use.The top of the china cabinet features frame molding and a generous crown molding to add to its grandeur. The buffet base feature lots of useful closed storage. The cabinet has three, deep wood drawers that are on wooden runners for ease of use. The lower cabinet has four bevel panel doors. The interior features one centered shelf which runs the width of the piece. 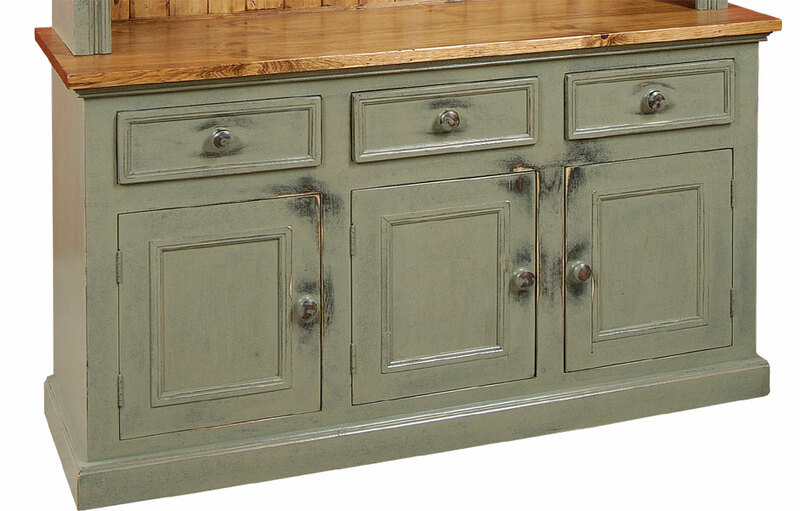 The lower buffet offers ample interior storage for large plates, platters and tablewares. The 3-Door Open Stepback Cupboard complements French Country, English Cottage, Farmhouse, Rustic, Transitional and Traditional style decors. 3 Door Open Cupboard finished in Sage. 3 Door Open Cupboard finished in Sturbridge.